Home » Gold vs Paper Money – Which can we Trust More? Gold vs Paper Money – Which can we Trust More? It’s an interesting question, which do you trust more? We investigate gold and paper money in this article. Fiat money is currency, which includes coins and banknotes that are considered to be legal tender from any government. The term ‘legal tender’ basically implies that a government of a nation will fulfil a promise to pay the bearer of a bank note the exact sum of the amount of money represented by the note. So, it’s like a certificate. The concept actually came from a time in history when the bearer of a bank note could be paid an equivalent amount of a precious metal, which was normally silver or gold. The government decree authorising this move was called a ‘fiat’, hence the name. In fact, fiat money has been around as early as the American War of Independence, which dates back to 1775. Interestingly, due to a shortage of gold and silver at the time, the earliest forms of paper currency in the US was backed by real estate and tobacco. Tobacco warehouse receipts were issued as promissory notes, authorising the bearer to have a claim on the exact amount of tobacco. Later the colonial governments discontinued this practice and switched to backing the currency with land. Although fiat currencies gained popularity worldwide throughout the 19th and 20th centuries, in August 1971, the US government discontinued the gold standard and terminated the post-war Bretton Woods system, which maintained the position of the US dollar as an international reserve currency, which was backed by gold with a fixed price of $35 an ounce. By then, it had become impractical to justify a fixed price for gold as a commodity that was being traded actively in a vibrant global market. So, we can see that the very reason the gold standard was abolished was a growing lack of confidence in the US dollar. The balance of payments in the US deteriorated heavily, along with the US share of global output, as emerging economies prospered. The US would not have been able to make good their gold payments to uphold an already inflated dollar. Find out how you’re finances would fair in a market downturn. Take the test! Stability and inflation have always been an issue with fiat currencies. Today, currencies are traded in forex markets around the world and the dollar’s demand is upheld by its parity to oil. The dollar has made a good recovery in the last couple of months on the back of better interest rates announced by the FED and news of a recovering US economy. As the price of the dollar rises, Asian and African economies who need to buy the dollar at a higher rate to buy fuel, have been plunged into crisis. The price of petrol has gone up dramatically in these nations, pushing the entire cost of living up, through a knock-on effect. Paper currencies now buy far less in these parts of the world than it used to. coupled with inflation are leading concerns for the stability of paper currencies worldwide. In a recent case of hyperinflation, Venezuela’s currency, the Bolivar has become so devalued that paper bags are being made out of it for tourists. In the case of gold, this can never happen. The precious metal has been a global commodity that locks in tremendous value for thousands of years. Whenever the threat of inflation and economic uncertainty looms ahead, we see investors quickly moving to gold to safeguard their interests. At Physical gold, our precious metal experts conduct extensive research about how gold is performing across the world. 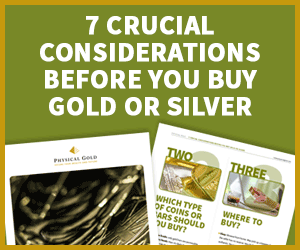 They are able to advise you on how to build a robust portfolio of gold and avoid becoming a victim of inflation through investments in cash. Call us today on 020 7060 9992 or send us a message online, and a member of our team will be in touch with you right away to discuss your investment goals. This entry was posted in Blog and tagged Economy, Gold.